For more than 40 years, patients throughout Southeastern Wisconsin have trusted Dr. Arbit to provide quality care for their orthodontic needs. He has successfully helped hundreds of patients achieve healthy, long-lasting, attractive smiles. During his many years of being an orthodontist, nothing has been more gratifying than seeing how happy and confident his patients are with the results of their treatments. Dr. Arbit always knew he wanted to work in the dental field. As a young child, Dr. Arbit spent many hours watching his own father, Dr. Saul Arbit, practice dentistry. Throughout his teen years, Dr. Arbit had the opportunity to observe in his father’s dental lab, and eventually began creating various dental appliances for his father’s patients. Working in orthodontics has always been a natural fit for Dr. Arbit, and he is proud to carry on the traditions of his father by providing the best possible care for his patients. A Wisconsin native, Dr. Arbit graduated from Nicolet High School, and received a dental scholarship to the University of Wisconsin. While attending the university, Dr. Arbit worked as a student counselor on the faculty advising service as a photographer for the zoology department. He also taught skiing, sailing, and swimming. 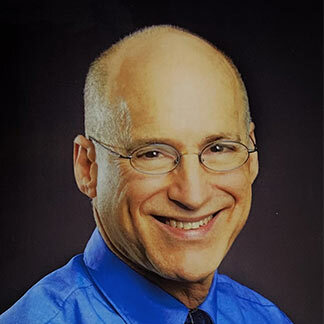 After graduating from the University of Wisconsin, Dr. Arbit attended dental school at the University of Pittsburgh School of Dental Medicine. While in dental school, Dr. Arbit tutored other dental students and was a member of the dentofacial anomalies team, with whom he worked with special needs children. He also was involved in various TMJ research projects, and after graduating early from dental school, he was invited to participate in a hospital-based oral surgery externship. In addition, Dr. Arbit participated in several graduate courses, including sedation dentistry, electrosurgery, and TMJ, though orthodontics proved to be his true passion! Dr. Arbit still feels fortunate to have been accepted into the renowned postdoctoral orthodontic residency program at the University of Michigan where he earned his certificate in orthodontics. A lifelong learner, Dr. Arbit believes that education and the pursuit of excellence is a lifetime endeavor, and he continues to train and study with top professionals in the field of dentistry and orthodontics. Dr. Arbit’s participation in continuing education also serves his patients well, because he is able to provide them with the most advanced care. Dr. Arbit is a board-certified orthodontist and a member of the College of Diplomates of the American Board of Orthodontics. Becoming board certified is optional, and it takes many years of rigorous training and research. Board certification is the American Association of Orthodontists’ highest level of achievement, and only a small percentage of orthodontist earns this distinction. Dr. Arbit has three exceptional children: Joshua, David, and Rachel. When he is not busy practicing or studying orthodontics, he enjoys hiking and collecting and restoring old bicycles. Dr. Arbit loves to go skiing, and is a certified ski instructor, having taught skiing at the Sunburst Ski Area for more than 20 years, and served on the ski patrol for almost ten. He also enjoys spending time with his family and friends. Dr. Arbit is involved as a leader in the dental community and his local community. He has served as the president of the Wisconsin Society of Orthodontists, the Wisconsin Society of Dentistry for Children, and the Alpha Omega Dental Group. In the community, Dr. Arbit has served on the board of the Bicycle Federation of Wisconsin for more than ten years. The Bicycle Federation of Wisconsin has worked hard to make Wisconsin a better and safer place to ride a bike.